Costa Mesa, CA (April 3, 2015) – -Ride Engineering, the industry leader in high quality racing accessories, proudly continues the relationship with AmPro Yamaha in 2015, for the 6th consecutive year. 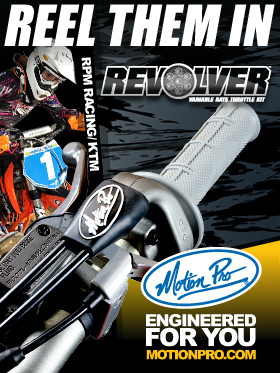 Ride Engineering manufactures racing products for the track and trails; the perfect blend for offroad racing like GNCC. Led by 7-time AMA National Enduro champion Randy Hawkins, AmPro is Yamaha’s successful off-road Factory effort, including 2010 Enduro Champion Charlie Mullins and 2012 Champion Paul Whibley in the Grand National Cross Country Series (GNCC). From high speed trails to tight single tracks, precise handling is paramount to Hawkins and his teams success. The same set up tested and used by AmPro Yamaha is available for KTM, Suzuki, Kawasaki, Husqvarna. Visit www.Ride-Engineering.com for applications, colors, pricing and available offsets. 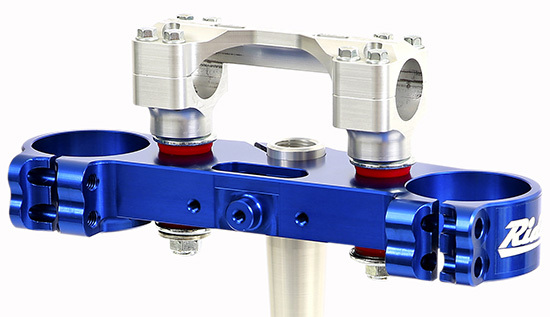 Ride Engineering, Inc. designs and manufactures the highest quality billet aluminum accessories to improve the performance of motocross and offroad motorcycles specializing in handling and braking components. The company combines hands on testing with feedback from past and present professional race teams. Located in Southern California, all Ride Engineering products are made in the USA. For more information visit www.ride-engineering.com, follow them on Twitter (@RideEngineering), Instagram (@RideEngineering ) and Facebook.